Across the water from Santorini, lies the island of Crete. A ferry brought us into the city of Heraklion, our base for the next week. Since ancient times, Crete has been contested territory, changing hands often. Skipping the more recent history, we began our studies with ancient Crete, in the times of the Minoans. 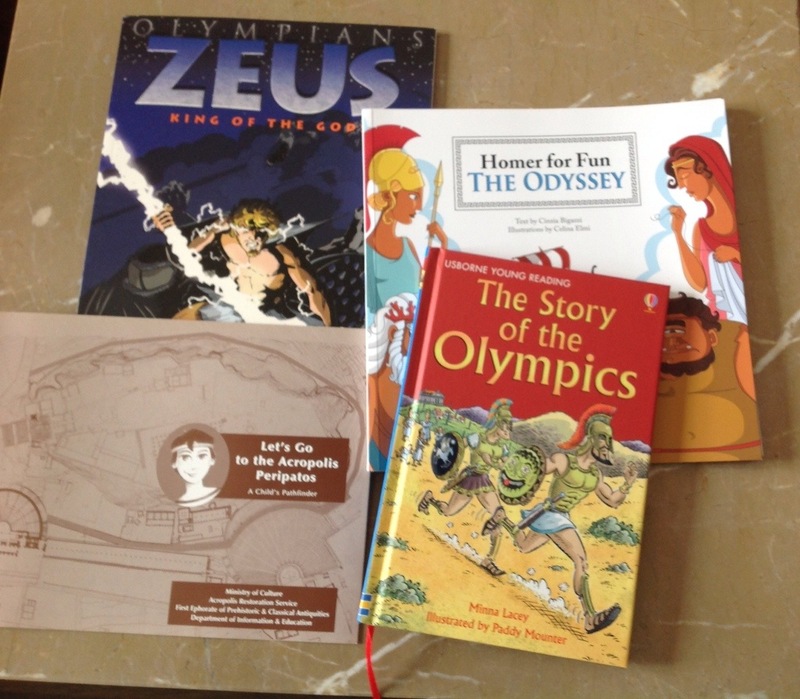 Boy started with the Greek myths of Crete, including the story of the Minotaur and the story of Daedalus and Icarus. 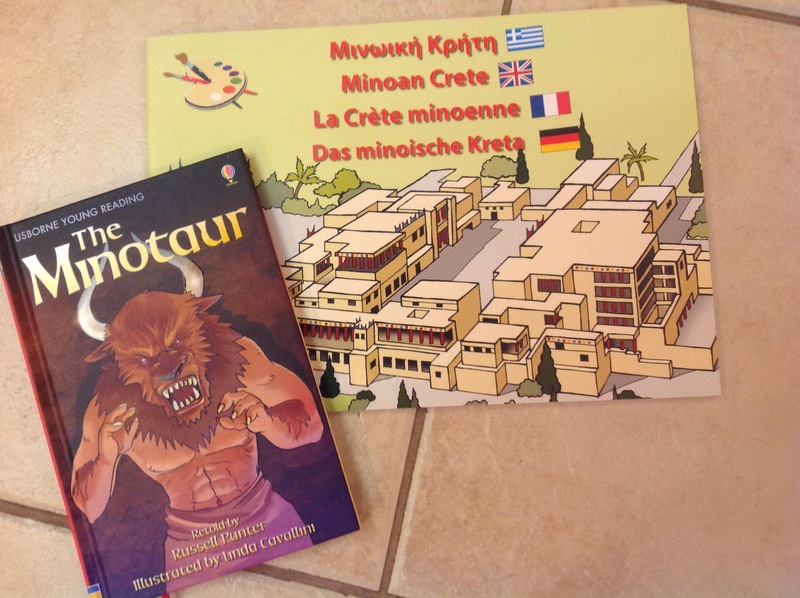 This review of the labyrinth and Minotaur set us up for our visit to the Archeological Museum of Iraklio, where the majority of Minoan artifacts and wall paintings from Knossos are on display. We lost count of the number of bulls we saw in the collection, though the number of octopus and seashells was nearly as high. A stroll through the market, a visit to the Medieval Venetian Fortress, the Koules, and a walk along the defensive sea wall rounded out our day. We ended with a fish dinner, overlooking the sea. Tomorrow, we are off to the home of king Minos, the Palace of Knossos. 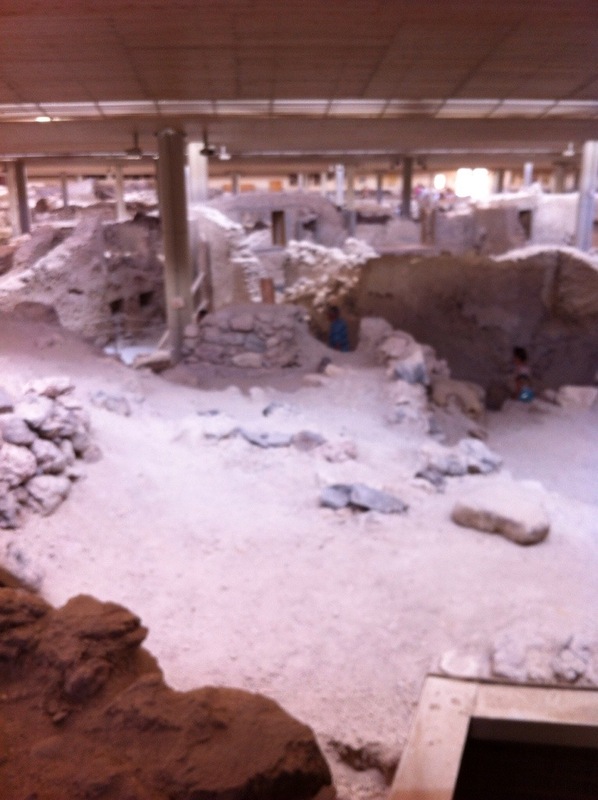 Exploring Santorini, we ventured out across the island to Ancient Akrotiri. This archeological site, is a Minoan village, from about 1600 BCE, that was covered in ash and mud after the volcano erupted and destroyed the island. In Athens, we had a chance to see the wall frescoes from this site at the National archeological museum, where they were moved for preservation. Even without the frescoes in place, the site was impressive. The entire town was preserved, in a similar way to Pompeii. When archeological research began here in the 1960s, the site was covered by a roof to protect it. In the 1990s, the corrugated metal was replaced by a light and Eco friendly structure as part of an EU preservation project. The protective building covers the whole site, providing shade and weather protection to both visitors and archeological staff, who are still actively working the site. We followed up the field trip by viewing a PBS show, from the Secrets of the Dead series, linking the Santorini volcano and resulting tsunamis, with the stories of Atlantis. Our rental house has a view of the caldera, so all of our studies this week have been on the balcony, overlooking the once sizable volcano. 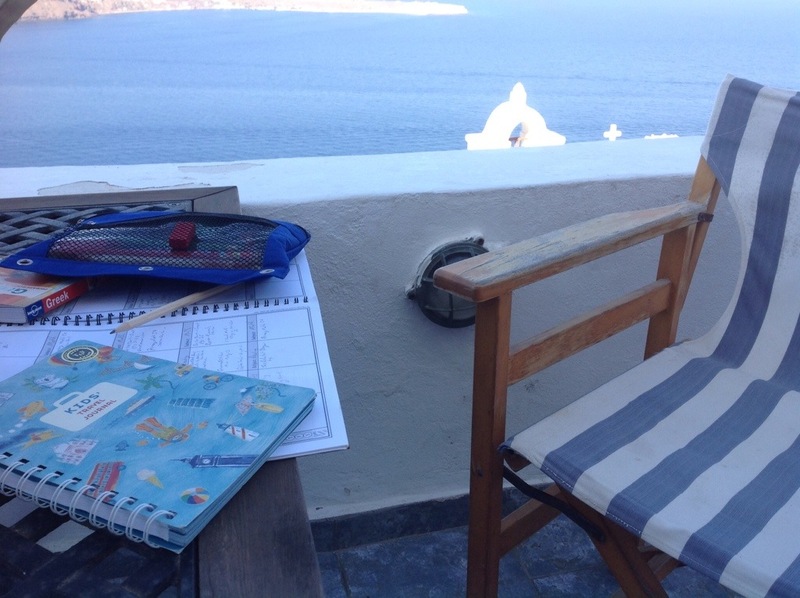 From Athens, a ferry took us through the Cyclades Islands and dropped us in Santorini. 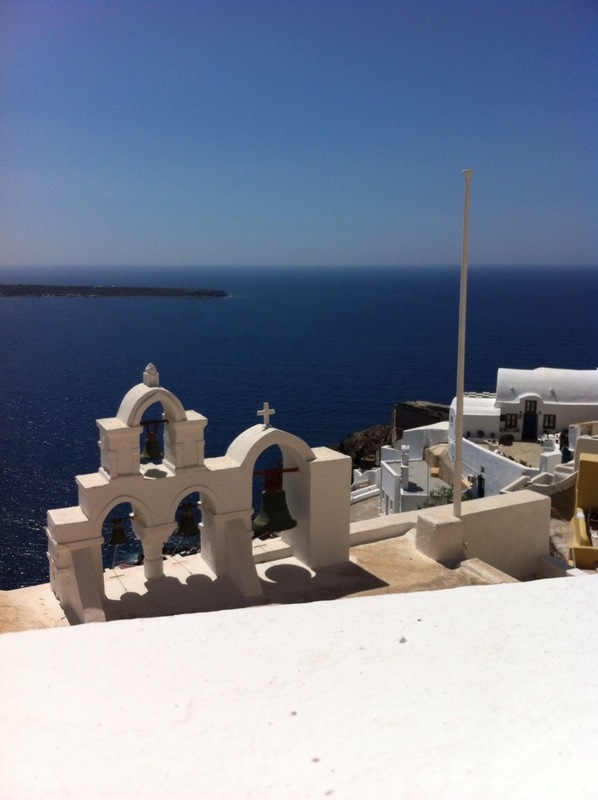 A bus ride up the hill, brought us to the town of Oia. Our home for the week was a whitewashed building on the cliff, down a windy cobblestone path. With only a few days in Athens, before we explore the rest of Greece, I had a long list of sites to see. We bought the combination Acropolis ticket that included access to the Acropolis and six other archeological sites, good over four days. We only have three days, here, and there were some non-archeological sites I planned to get in as well, so we had some work ahead of us. 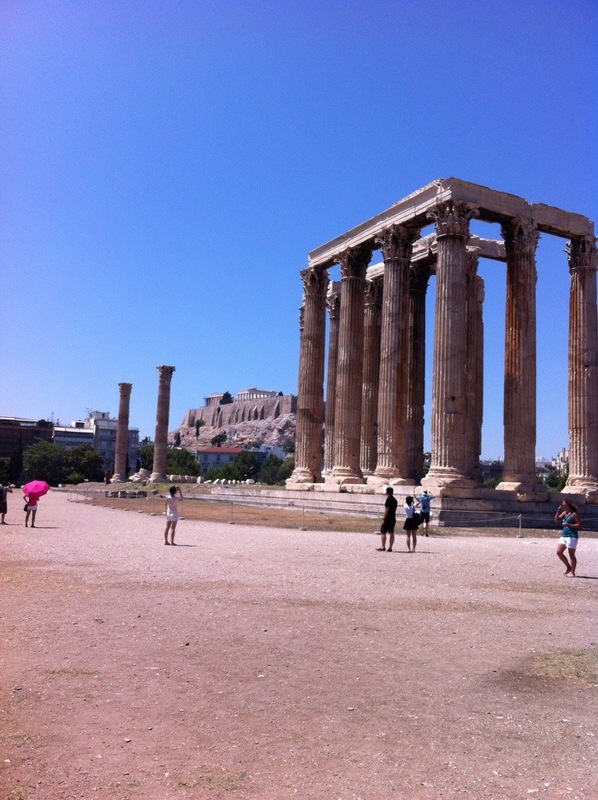 Yesterday, at the Acropolis museum, we visited the first site, the Temple of Zeus, so, today, we had six more to see. Thankfully, ancient Athens was fairly compact, so we could walk it all. 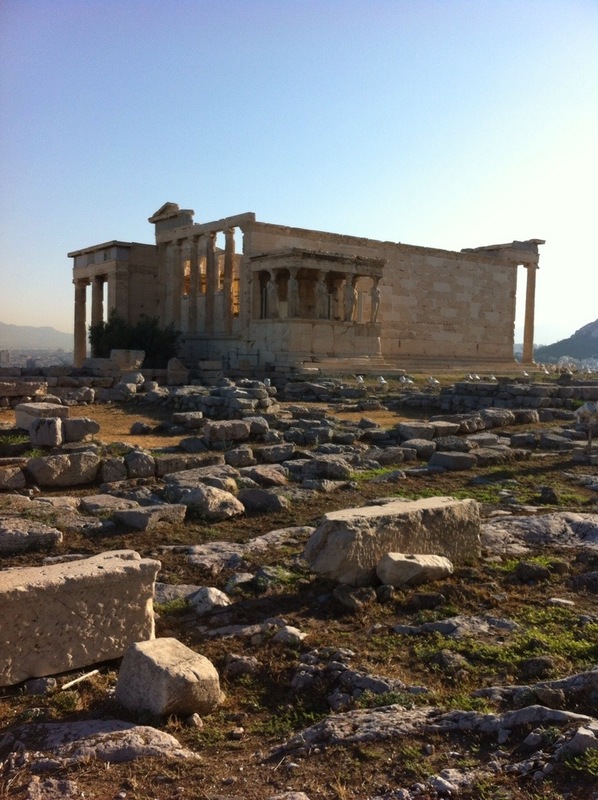 Right after breakfast, we climbed the hill to the Acropolis, making it to the entrance before it opened. Our plan, both to beat the crowds AND the heat. 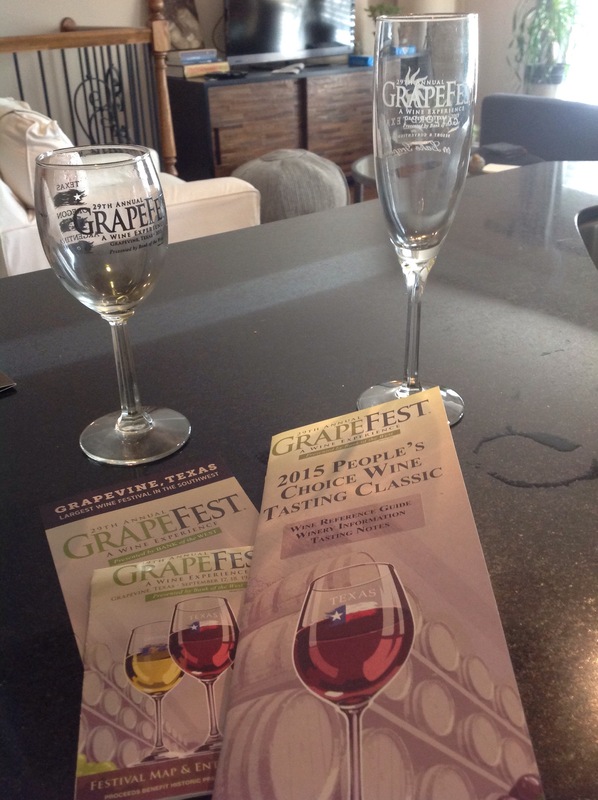 We did beat the crowds. With full water bottles, and a strong pace, we covered the theatre of Dionysus, Ancient agora, Roman agora, Hadirans Library, North slope of the Acropolis, and the Kerameikos. By lunch, we could wring out our clothing, and our feet were aching. “Tomorrow,” I told them, “we are going to the National Archeological Museum, it has Air Conditioning!” The response was enthusiastic. We started our tour of Athens at the Acropolis Museum, a brand new facility at the base of the Acropolis hill. The museum is state of the art, and has empty space left to hold the British Museum’s Elgin marbles, should they ever be returned. While there, we had a great time completing the family backpack activity kit. 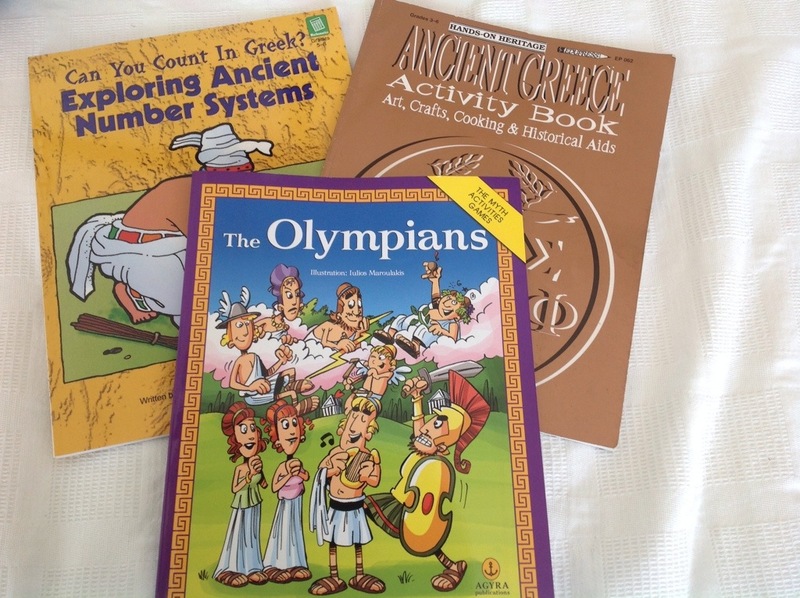 This FREE activity, had a matching game, a magnetic create your own picture of Athena game, a gallery guide, and similar to the Munch museum, in Norway, a gallery search. 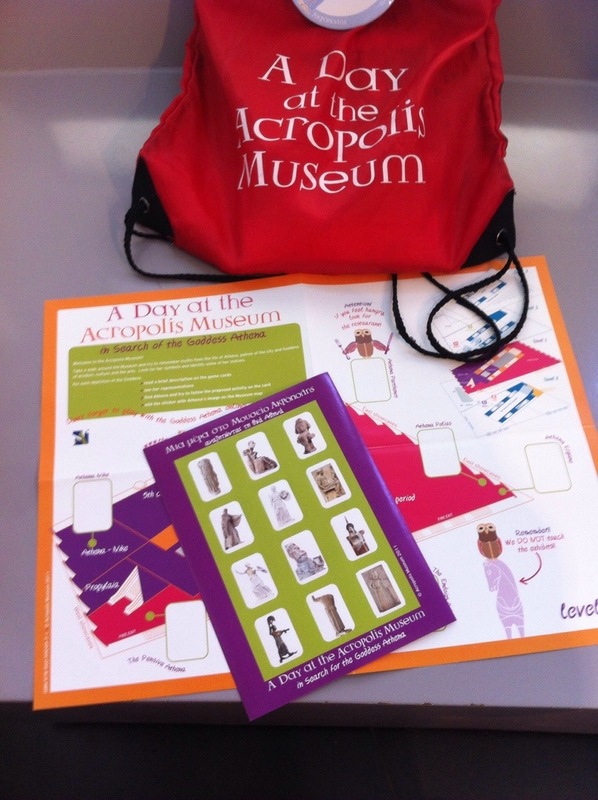 The museum provided a sticker page with images of Athena and a museum map. We had to find each item and place it in the appropriate gallery. As these were complete pictures of artifacts, not close ups, it was much easier to complete than the Munch painting hunt we did in Oslo. After the museum, we ventured out in the heat to see the Temple of Zeus, on the grounds of ancient Olympia. We followed this up with a visit to the original Olympic stadium. Tired and hot, we returned to the apartment for cool drinks and air conditioning.